For the thousands of children who rely on the free and reduced-cost meals at school, summer vacations can seem like a daunting prospect. When they should be anticipating fun and adventure in the warm season, many are worried about where their next meal is coming from instead. For them, no school means no meals. But what are we doing to help? The Food Bank of Central & Eastern North Carolina is preparing for its sixth year administering the Kids Summer Meals Program. Kids Summer Meals (also known as the Summer Food Service Program) is a USDA program that ensures that children in low-income areas continue to receive nutritious meals during long school vacations when they do not have access to school lunch or breakfast. The Food Bank sponsors this program in our 34-county service territory by providing feeding sites with breakfast and lunch at no cost. Community-based organizations operate these feeding sites at schools, churches, and youth centers. 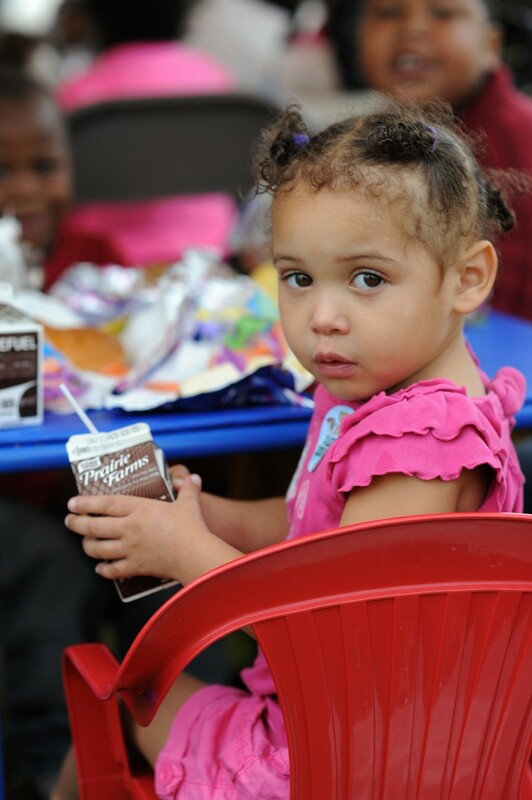 Last year, the Food Bank sponsored 90 sites, serving over 136,000 meals to more than 4,100 children. And the program isn’t just about food. Volunteers and staff provide enrichment activities throughout the day that keep the children physically and mentally active, which greatly reduces academic and social regression over the vacation period. And it’s good exercise, too! 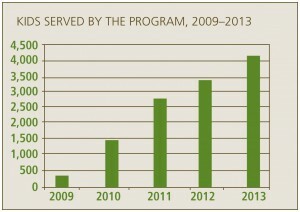 During the last few years, this program has grown, feeding more children more meals at more sites. But still, 85% of children who qualify to receive these summer meals do not currently take part in the program. The Food Bank is working closely with the State of North Carolina and our network of community partners to make sure that all children in need of food assistance get access to the resources and services they need to thrive, one neighborhood at a time. Unfortunately, this program simply can’t do it all. Many children and their families will still need to visit food pantries and other partner agencies for emergency food assistance this summer. If you’d like to help these families during this time of increased need, please donate to our Stop Summer Hunger campaign.